Fully furnished 6 bed 5 bath private pool/spa home with water views. Fantastic turn-key Vacation Home with access to the Storey Lake amenities. In short term vacation program with reservations in place. Professionally furnished less than one year ago! 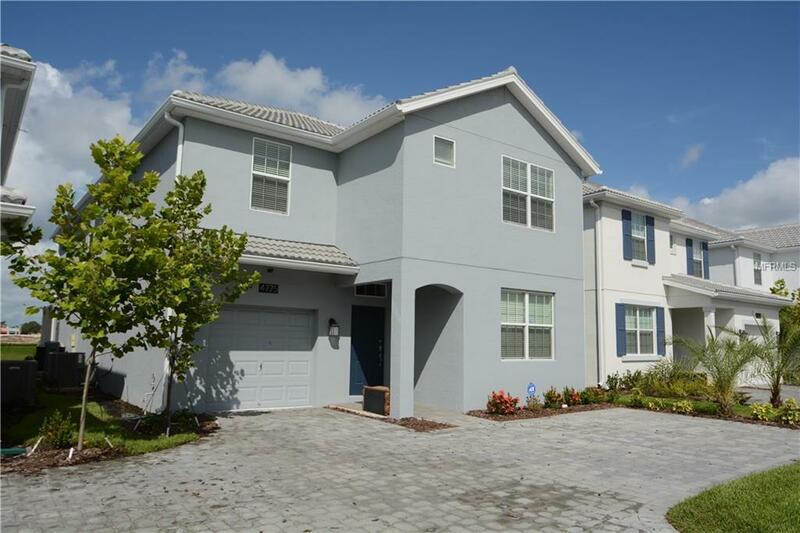 This like-new home has all the modern finishes, open floor plan, a screened in pool and outdoor space, high ceilings, wood-like ceramic tile floors, granite counter tops, stainless steel appliances and lots of windows for natural light. The second floor has a large bonus gathering space. Close to the Walt Disney World Resort and central to Orlando's world-class attractions! Resort-style comforts to convenient access to nearby shopping, dining and entertainment. The community offers amenities, including a sports area with a sports court and golfing area, full-service state-of-the-art clubhouse with sports court, Jacuzzi, lazy river, pools, cabanas, poolside food and beverage service, volleyball court, playgrounds and Splash Park. For the Vacation Home experience of a lifetime! This two story, five bedrooms, five-bathroom home offers plenty of space, open floor plan. Covered patio with private pool/spa. This model has 2 Master Suites.